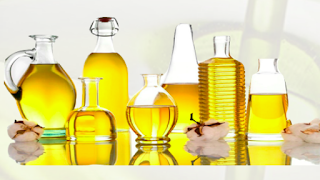 Sanwaria Consumer has said that import duty hike on various edible oil is good for them. What about Poona Dal and Oil? Poona Dal and Oil has low liquidity. This is a concern if you want to invest more than Rs 1-2 Lakh. Food processing business is in limelight these days. India has strong requirement about it. Poona Dal and Oil is not a pick after much investigation but just a quick pick. Check yourself. Poona Dal and Oil is at Rs 70. With the state of art refinery having capacity of 300 MT per day and with efforts of sound technical staff Employees and Workers who are able to create our own brand image of products in the market vis. - The products which are well reputed in the market for their consistent good quality and competitive pricing. The brand name enjoys a premium in the markets and well known among the masses. Recently Porinju Veliyath has bought BCL Industries. Update: Read a recent article that import duty is not good for edible oil companies. Sanwaria may have different reason to tell that it has no effect on this. Sorry! Leave this stock. I have cautioned on low volatility. If you have small stake already and want to check next quarter result then you can take risk.